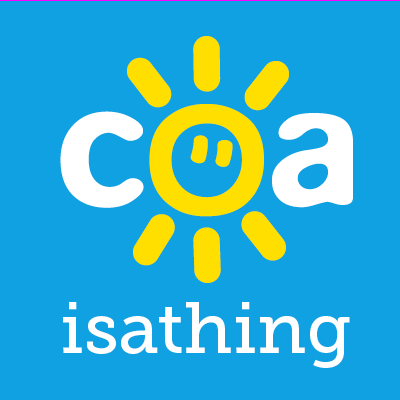 My Life – Being a COA is a thing! Today’s piece has been written anonymously but shows nothing short of immense courage in laying their whole story out there. The resilience shown by COA’s is nothing short of amazing and i know that for me, each and every time I read a story like this I feel less alone. If you you feel triggered or affected by what you read in anyway, remember Nacoa are here to offer life saving love and compassion. If you would like to share your story or say anything as someone impacted by a parents drinking then please get in touch. Also, we now have a ‘secret group’ on Facebook where people affected share experience and offer each other support in the day to day of being a coa. Find me on Facebook if you would like to be added. My life sadly doesn’t seem too dissimilar to others that I have read. I was most certainly a child of an alcoholic. It will be my 42nd birthday next week & my story began when I was 10 years old. I lived in a happy home up until then with my Mum, Dad & my brother who was 2 years older than I was. The first time I remember my Mum being drunk was when I was watching a TV programme after school & realising that whatever Mum was drinking out of her mug was making her behave very strange. I even remember what it was I was watching, what day it was, even the colour of the mug Mum was holding on to, that is how many times these thoughts have gone around in my head. After that first encounter, things steadily got worse. My Dad had always worked away from home on the ships but was now having to stay away for weeks at a time, Mum was drinking more and more, my brother, who was 12 years old had also began drinking (another memory of the first time I saw him drunk cemented in my brain) life was changing rapidly from the quiet, happy, fun filled family home that I was used to. Day after day, night after night, week after week the same thing, drunk Mum, drunk brother, Dad at sea somewhere & me at home scared & confused. Dad would come home & surprisingly Mum would become Mum again, how could she do that? It didn’t make sense but was great non the less. My brother though was spiralling out of control, no school for him, just drinking. I started to dislike my brother a lot for what he was doing, why wasn’t he being cool & hanging out with his friends like all the other kids his age? He was becoming quite embarrassing & I didn’t want to have much to do with him anymore. Dad would go back to sea & Mum would start all over again, what a kick in the stomach that was when I was just getting used to having ‘normal’ Mum back again. And so the story continues, Mum stopped being able to hide her drinking though I would always tell Dad on his return that it wasn’t that bad, I was scared he would leave if I told him the truth. My brother was out of control, drinking, vomiting, not eating & the rest which I am sure you can imagine. Mum was steadily catching up with him, we would have terrible rows, I would find bottles hidden everywhere in the house, no food was being bought, the house was a mess. I never told anyone, although living in a small village, it was common knowledge pretty quickly, but it never came from me. I carried on with my life growing up as a teenager with no one watching over me or having any idea of what I was up to. By this time Dad had moved to another job, 4 months away at sea with 6 weeks at home. I would come home after spending as long as I could out of the house, try to find something to eat then lock myself in my bedroom for the night, listening to all the banging and crashing going on around the house. I am living in a bedsit I would tell myself, it’s just a room that I have in a crazy house, I will get up early and go out again until its time to come back. Sadly this life, my story, it never changed over the years. For my brother it just got worse and worse. He tried rehab a good few times, once, in his late twenties he very nearly cracked it, we even became friends again for a while. My Mum would deny black and blue that there was anything wrong with her, that is if you were ever brave enough to question it in the first place. At the age of 17 I was raped on a night out, the person responsible was caught and sent to 4 1/2 years in prison, at the age of 20 I met & moved out of the family home with my now husband. At the age of 30, the week before our wedding I miscarried our first child and spent two days in hospital. I know that people have terrible lives and things happen to them and I am not in any way looking for any sympathy. I never had any support through all of these times, not from the people I needed it most from. My Mum couldn’t cope with the things that happened to me, she would have to drink to cope, my brother couldn’t cope with hat happened to me, he would have to have a drink to cope, my Dad couldn’t cope with what happened too me, he would go back too sea for 4 months to cope. I would put on my smile, get washed, dressed and face whatever the day would throw at me. It is 3 years ago that I noticed my Mum, who sadly hadn’t looked very well for years, really wasn’t looking too good. I would question it all the time, speak with my Dad, talk to my husband about it. I had done my research and guessed what it was. Mum was having tests for things, she finally admitted that she had cirrhosis of the liver. She gave up drinking straight away, first time since I was a child but the damage had been done. Mum had been admitted to hospital over the weekend. Sunday night, just before midnight the phone rang and instantly I thought it was something to do with my Mum. I could hear my husband talking to my Dad. My brother was dead. 41 years old, he had struggled all his life with his own demons and this is what it came to. He still lived at home with my Mum & Dad and Dad had found him at the bottom of the stairs after coming back from the hospital. Two weeks and two days later my Mum followed him. I sat at the hospital on my own holding my Mum’s hand as she took her last breath. I can’t describe what these last few years have done to me. I feel completely broken and lost, I have no idea who I am, there is so much anger, love, frustration, guilt going on. I have lost half of my family. All these years when I have had to carry on, put on a brave face, be strong, I now feel I need to let it go once and for all. I have never spoken like this before and the anxiety and palpitations running through my body as I am writing this is the guilt that I am feeling, as if I am betraying my family but I owe this to myself. I deserve a good life, I deserve to find peace, I deserve to laugh and feel free. I want rid of all the bad thoughts that torment me on a daily basis. I am in a few weeks starting counselling and psychotherapy. This will be the fourth time since I was 17 that I have tried this but the difference being is that this time I will tell it all as it is, has been and hope to be in the future. It’s time to be completely honest and dig deep. I know it is going to hurt but I have to do this, once and for all, for myself, for my husband and for our two beautiful children who will always need their Mum. This story gave me goosebumps! Thank you so much for your bravery in sharing your story. It’s amazing how losses seem to happen one after another and it’s heartbreaking how addiction takes such wonderful people from us. Please take comfort in knowing the cycle of addiction stops with you and your children. Best wishes to you in your healing journey and thank you for sharing your story. even when they’ve passed away! However I have found that good old time passing is the true healer . It’s 25 years since my alcoholic parent died and 3 years since my brother died of his heroin addiction. Finally its time to move on. Now I intend to fully relax and enjoy my husband, children and grandchildrens company . They are my family now x. Best wishes to you on your own journey.